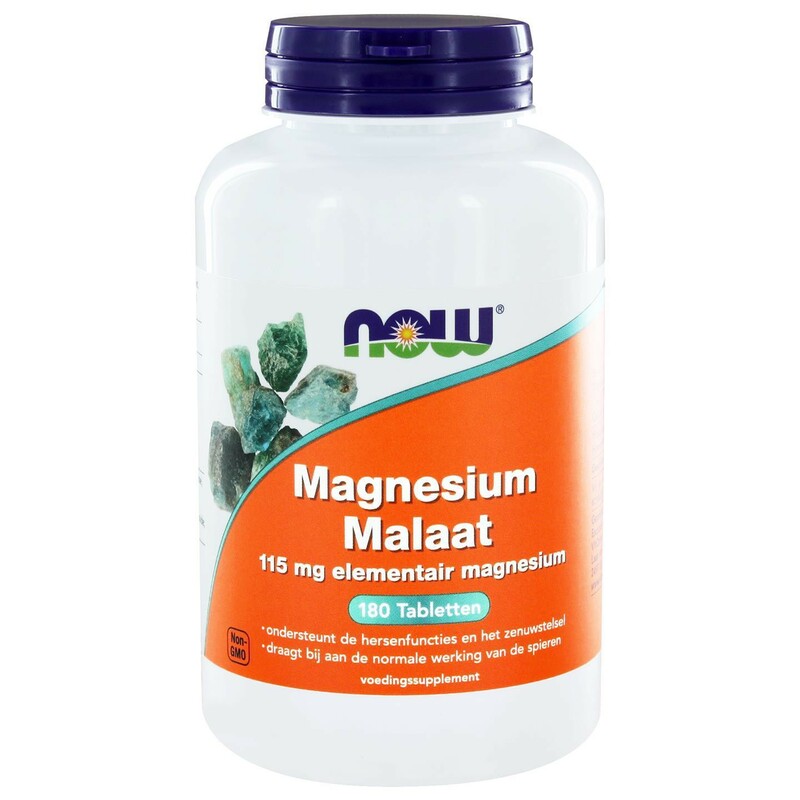 Magnesium is a mineral that is critical for energy production and metabolism, muscle contraction, nerve impulse transmission and bone mineralization. It is required cofactor for an estimated 300 enzymes. Among the reactions catalyzed by these enzymes are fatty acids synthesis, protein synthesis and glucose metabolism. Malate is an important Krebs Cycle intermediate, indicating that it is an important molecule in the production of cellular energy derived from carbohydrates. As a dietary supplement, take 1 tablet 3 times daily, preferably with meals. 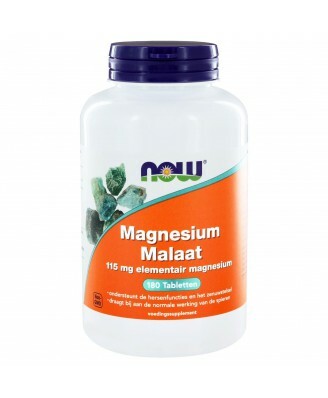 Consider taking this product in combination with NOW Magnesium, OsteoBoron, Vitamin D and Zinc. Cellulose, croscarmellose sodium, stearic acid (vegetable source), magnesium stearate (vegetable source) and silica. Contains no sugar, salt, soy, wheat, gluten, milk, shellfish or preservatives. 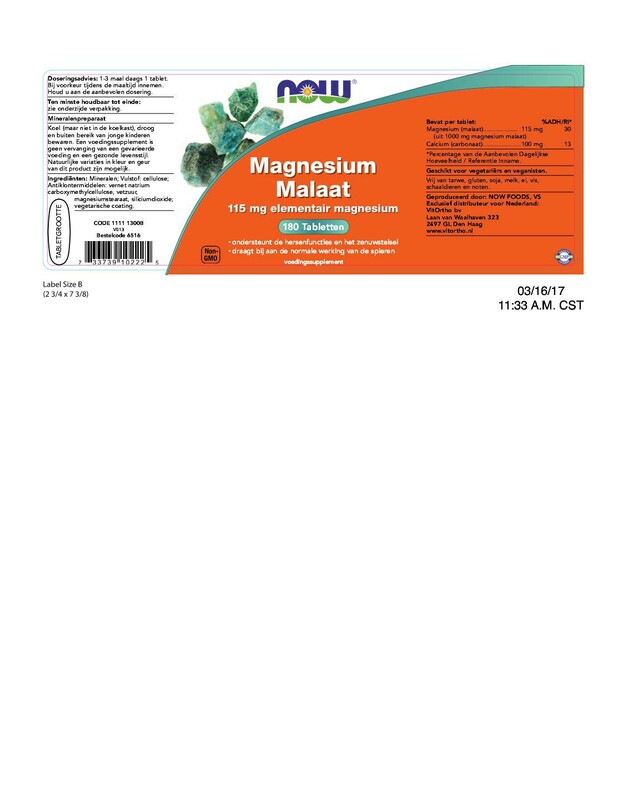 Magnesium Malate is a fully reacted mineral supplement. It contains a minimum of 60% Malic Acid.